This site was created to collect new evidence-based studies on medical topics. It is our hope and intention that this will serve as a helpful tool for physicians, health practitioners, and patients who want to keep up to date with current trends in medical studies and technology. The contents of the Medical Health Discoveries web site such as images, graphics, and text ("Content") are for informational purposes only. The Content is not intended to be a substitute for professional medical advice, diagnosis, or treatment. Always seek the advice of your physician or other qualified health provider with any questions you may have regarding a medical condition. Never disregard professional medical advice or delay in seeking it because you have read something on the Internet. Chemotherapy drugs kill healthy and unhealthy cells. New treatment types have been executed recently to isolate a specific organ; hence, the rest of the body is not affected. Doctors at Southampton General Hospital believe their new method can not only save lives, but reduce the period for recovery. Two patients in the UK have now received chemotherapy focused on just their liver. The two of them had a rare eye cancer which had spread to the liver. The operation works by essentially creating balloons inside blood vessels on both sides of the liver to isolate it from the rest of the body. 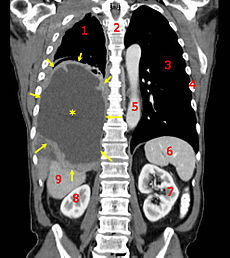 The liver is then given a load of chemotherapy drugs, which are filtered before the liver is reconnected to the main blood supply. It means only a small part of the chemotherapy dose goes into the body. Dr Brian Stedman, a radiologist, said: "To cut off an organ from the body for 60 minutes, soak it in a high dose of drug and then filter the blood almost completely clean before returning is truly groundbreaking." And we agree, this is by far the best cancer treatment we have seen in a very long time. U.S. researchers have made an amazing breakthrough in cancer research. They have modified patients' immune systems to attack cancer cells of the blood (leukemia). 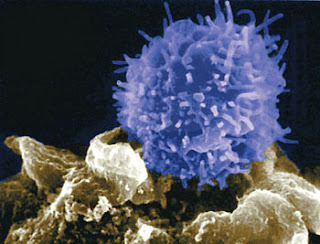 Modified T-cells are turned into serial killers and are genetically programmed to attack cancer cells. Three chronic lymphocytic leukemia (CLL) patients with no hope to live and all options run out, participated in this study at the University of Pennsylvania where researchers engineered their T lymphocytes to attack cancerous B cells. Two of the three CLL patients had a complete remission of their disease and there was a significant improvement in the third. The T cells were genetically modified using a harmless virus, which carried an anti-body called a chimeric antigen receptor (CAR). The CAR was binded to another protein called CD19 that’s present on the surface of normal B lymphocytes and all CLL tumor cells. Michael Kalos, one of the researchers, also mentioned that they bound a signaling molecule that binds to CD19 that would continue production of thousands of T cells that would act against future cancerous B cells should it return. The study can be found in the New England Journal of Medicine. A team of researchers from UCLA and the Veterans Administration were investigating the effects of stress on gastrointestinal functions. They were using mice that overproduced a stress hormone called corticotrophin-releasing factor (CRF). The stress hormone caused them to lose their hair as they got older. Researchers studied the effects of CRF on the colon. They also wanted to study what would happen to the intestines if the stress hormone was removed. They injected a peptide called Astressin-B over five days. They moved the bald mice back to a cage with their hairy siblings, and when they came back three months later -- they could no longer visually identify their original set of bald mice. All of them grew hair! 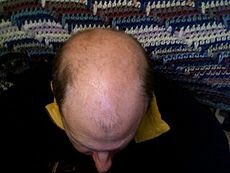 Subsequent studies have shown that Astressin-B can not only regrow hair but can also prevent hair loss with younger mice that overproduced the stress hormone. The study is now published in peer review journal called PLoS One. The long term effects of smoking has been well known over the past few years as documented cases of heart disease and cancer has been well reviewed. 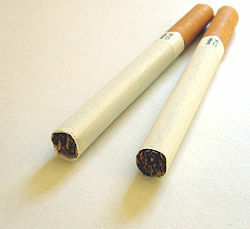 But new research published in Chemical Research in Toxicology has identified potentially harmful effects immediately your first cigarette of the day. Researchers looked at a specific level of chemicals called polycyclic aromatic hydrocarbons (PAH) in 12 patients after they smoked. The results show that PAH immediately was processed in the body and it converted into another chemical to damage DNA, which is known to be the primary cause of cancer. This horrifying effect took only 15 to 30 minutes. White rice increases the chances of type 2 diabetes, according to Harvard researchers. Their study published in the Archives of Internal Medicine covered nearly 200,000 people which showed anyone that ate more than 5 servings of white rice per week had a 17% higher risk of diabetes compared with those that ate less than 1 serving of white rice a month. 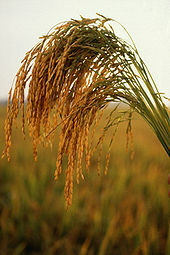 In contrast, high brown rice intake was associated with a lower risk of type 2 diabetes. The study suggests that eating whole grains such as brown rice instead of white rice may lower risk of type 2 diabetes and that most of our carbohydrate intake should come from whole grains rather than refined grains.